As of the census of 2010, there were 365,438 people, 133,072 households, and 90,099 families residing in the city. The population density was 3,811 people per square mile (1,472/km²). There were 144,805 housing units at an average density of 1,510 per square mile (5,833/km²). The 2011 estimated racial makeup of the city (based on the 2010 census) was 59% White, 18.8% Black or African American, 6.8%, Asian, 0.7% Native American, 0.1% Pacific Islander, 11.3% from other races, and 3.3% from two or more races. Hispanic or Latino of any race were 27.4% of the population. There were 133,072 households out of which 40% had children under the age of 18 living in them, 48% were married couples living together, 15% had a female householder with no husband present, and 32% were non-families. 25% of all households were made up of individuals and 5% had someone living alone who was 65 years of age or older. The average household size was 2.7 and the average family size was 3.3. In the city the 2010 population was spread out with 31% under the age of 20, 8% from 20 to 24, 30% from 25 to 44, 23% from 45 to 64, and 8% who were 65 years of age or older. The median age was 32 years. For every 100 females there were 104 males. For every 100 females age 18 and over, there were 94 males 18 and over. The median income for a household in the city was estimated to be $50,655 in 2011. Individual males working full-time year-round had a median income of $41,059 versus $35,265 for females. The per capita income for the city was $25,317. About 16% of Arlington families in general and 31% of female-headed families with no husband present were living below the poverty line. 20% of the Arlington population as a whole, including 28% of individuals under age 18 and 8% of those age 65 or over were living in poverty. 43% of Arlington renters and 28% of homeowners were paying 35% or more of their household income for housing costs in 2011. Arlington is the fiftieth largest city in the United States by population. Arlington is home to The University of Texas at Arlington (UTA), the Southeast Campus of Tarrant County College, Arlington Baptist College, and B. H. Carroll Theological Institute. 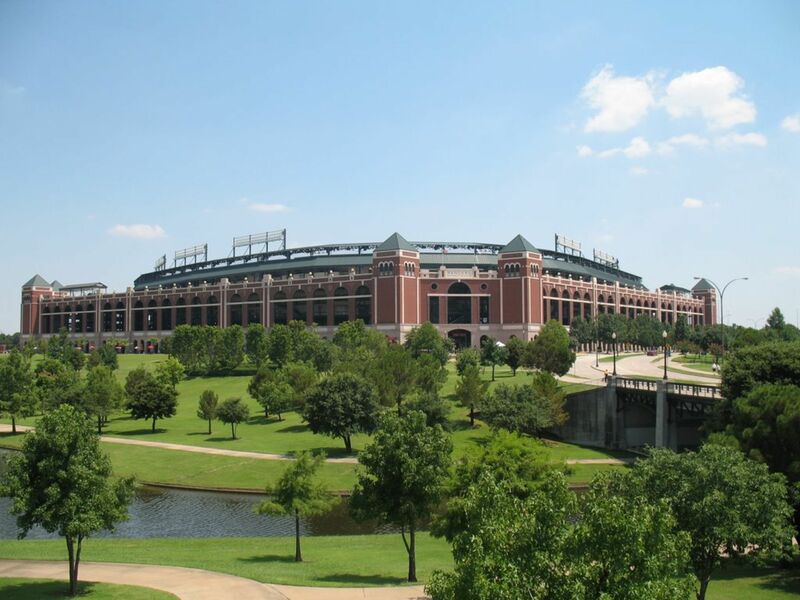 The University of Phoenix and Texas Tech University also have a presence in Arlington near Interstate 20. The University of Texas at Arlington is the second largest institution in the University of Texas System. The university has an enrollment of approximately 37,000 students as of Fall 2015, and is a valuable asset to the city of Arlington and its economy. Buildings within the academic core of the UT Arlington campus are among the oldest structures in the Dallas/Fort Worth Metroplex, including Preston Hall, Ransom Hall, College Hall, Brazos House, and the original Arlington High School. In addition to this Arlington Baptist College is also located in Arlington. Arlington Baptist is a private 4-year bible college that offers undergraduate and graduate degrees. Also a number of community colleges and trade schools are located in college including Kaplan College and Tarrant County College, a branch of University of Phoenix is located in Arlington as well. Arlington's residents live in the following four independent school districts (or ISDs), listed in descending order with respect to number of population served: Arlington ISD, Mansfield ISD, Grand Prairie ISD and Kennedale ISD. Parts of Arlington located in the Hurst-Euless-Bedford ISD's jurisdiction currently have no residents, but this is being developed into as many as 4,000 homes. In Texas, school district boundaries do not always follow city and county boundaries because all aspects of school district government apparatus, including district boundaries, are separated from city and county governments. Not all city of Arlington residents are in the AISD, and not all AISD students are residents of Arlington. There are currently ten AISD high schools. Summit International Preparatory, a K-12 charter school of Uplift Education, is in Arlington. Arlington Classics Academy is a K-7 charter school in Arlington with two campuses. Texas Leadership Charter Academy holds one of its locations here and admits students from PreK-12th grade. Updated: 21st April, 2019 8:31 PM.